The Alherimi family formed Cobra Security Products, LLC with a determined mission to prevent stories similar to the ones their daughter told from her experiences as a crime scene investigator. That resolve has never wavered over the years. Their products provide the means in which individuals can be equipped with the self defense tactics to stay safe in dangerous situations. 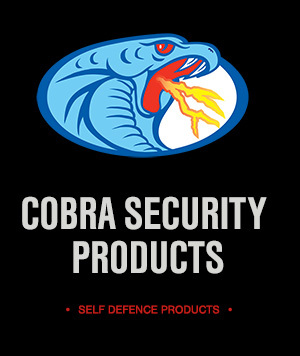 The Cobra Security Products, LLC stun guns are equipped with several safety features. Most models come with safety on/off switches. There is also an additional safety pin attachment that disables the unit if it is pulled away by an attacker. By detaching the pin when it is not in use, this makes the unit child proof and unusable. Each unit features a bright flashlight and comes with a carrying case. They are available in three colors (black, pink and purple) and carry an automatic two-year warranty. In addition to selling its products, the Alherimi family makes it a priority to explain how to properly use the items as well as offer the best prices and quality along with an excellent warranty. We are committed to the idea that we can make a difference in protecting women and offering the very best products to help achieve this goal.